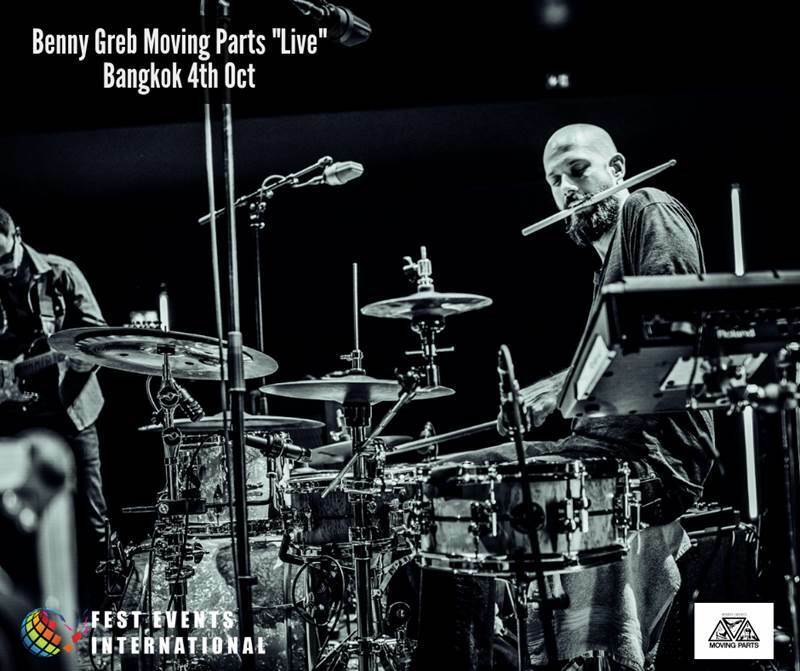 Star-drummer Benny Greb, together with guitarist Chris Montague and bassist Janek Gwizdala will be performing in Bangkok on October 4th! His band, known as Moving Parts (whose album Moving Parts (2014) brought Greb an Echo Jazz nomination) will be playing music that can be described as "modern, groovy and thoroughly emotional". With Moving Parts, Benny Greb has managed to develop his very own sound, an intelligent, intoxicating and moving music, calling out to jazz cats, electronic fans and open-minded pop listeners alike.